Franklin Pest Solutions wants you to spend your summer at ease with more time focused on enjoying your surroundings rather than running from stinging pests like wasps and hornets. Stinging insects are most active between summer and early fall, you can find them buzzing around your house among the flowers foraging for food. With half a million people per year seeking medical attention for bee stings, Franklin Pest Solutions knows that it is especially vital that while planning the party in your yard, you are sure to include stinger prevention in your preparation. Spend more time enjoying time with your guests and less time worrying about getting stung. Seal all visible cracks and crevices to keep stingers from moving indoors, and regulary inspect around the perimeter of the home for nests. During a picnic, cover all food when outside and be sure to keep tight fitting lids on trash bins. Drink out of clear containers, as stinging insects can sneak into aluminum cans unnoticed. If spending long periods of time outdoors, skip the perfume cologne or scented body wash in favor of unscented shampoos, soaps and lotions. Yellowjackets and other stinging insects are attracted to sweet-smelling fragrances. Wear closed-toe shoes, especially in grassy areas where hornets and other pests often nest. If you find a stinging insect nest on the property, don't attempt to remove it on your own. Instead, contact a licensed pest control professional. Franklin's stinger-preventive tips will help keep you from becoming another stinging statistic in the emergency room and get the most out of your summer. If you need any assistance with stingers on your property give us a call 800-GOT-PESTS. With our Healthy Home Maintenance Plus Program (HHMP) your home is protected 365 days a year against wasps, hornets, yellowjackets, and 14 other common household pests, including termites. 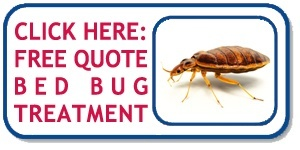 With satisfaction guaranteed, you have nothing to lose but pests. Use the buttons below to stay in touch on social media or to request a quote for free today. 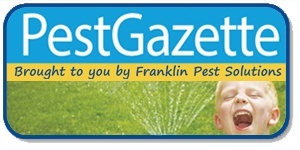 GET THE SUMMER PEST GAZETTE!